Whatever you need moving, we can help. Whether it is an online purchase or something simply too big for your own car our Man and Van service covering Devon and beyond can help. We pride ourselves in customer service and care when moving high value items and regularly move antiques for local auction houses and Estate Agents including Watts & Sons and Seddons Estate Agents. email mail@nick-of-time.co.uk or meet us at Tiverton Pannier Market every Monday. 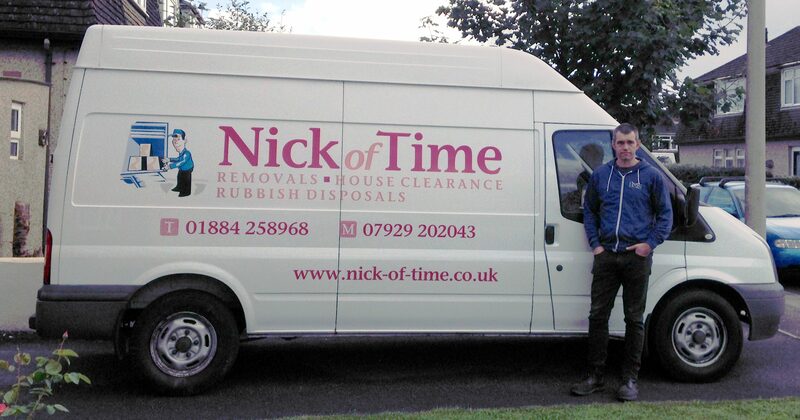 Nick of Time offers a quality and affordable service covering the whole of Devon and beyond. Copyright © 2019 Nick of Time.